Alec Baldwin is set to join the cast of Warner Brothers standalone Joker movie. Baldwin is the latest high profile actor to join the project, which is scheduled to begin shooting on September 10th in New York. While story details are being kept quiet, it has been reported that the origin story for Batman’s nemesis will be more of a mid-budget crime thriller than a superhero blockbuster. Baldwin, recently nominated for his 19th Primetime Emmy, joins a growing cast that includes Joaquin Phoenix (in the title role), Robert De Niro, Frances Conroy, Marc Maron, and Zazie Beetz as Sophie Dumond. Warner Brothers and Village Roadshow will coproduce the film, with Todd Phillips directing. Emma Tillinger Koskoff and Richard Baratta (The Wolf of Wall Street) are attached as producers. The standalone Joker film will be released on October 4, 2019. Thomas Wayne, who was recently portrayed by Jeffrey Dean Morgan in Batman v Superman: Dawn of Justice, first made his appearance in Detective Comics #33 (November 1939) in Batman’s origin story. 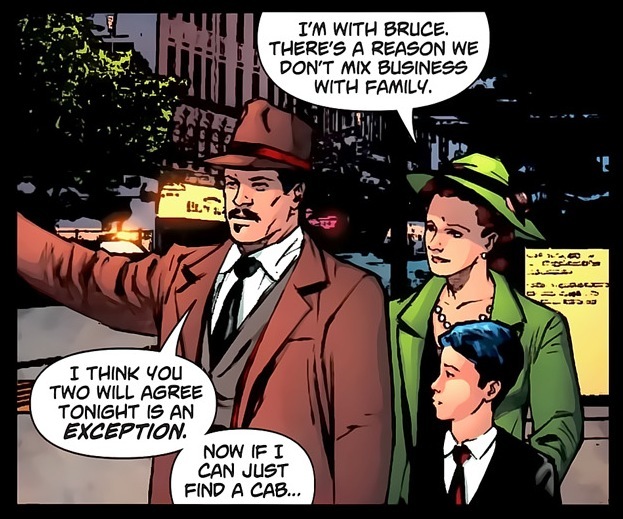 He is the father of Bruce Wayne (Batman) and husband of Martha Wayne. He was a gifted physician and philanthropist in Gotham City. When Dr Wayne and his wife are killed in a street robbery, the young Bruce Wayne is inspired to fight crime as Batman. Frances Conroy is currently in talks to play the Joker’s mother.